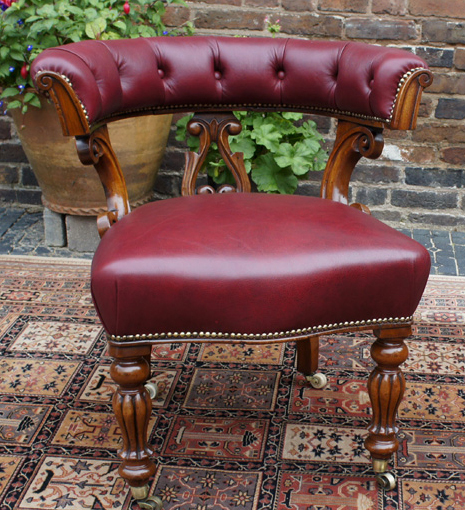 A very good quality walnut antique desk chair from the mid 19th century, recently upholstered in a deep red coloured hide with studded borders. 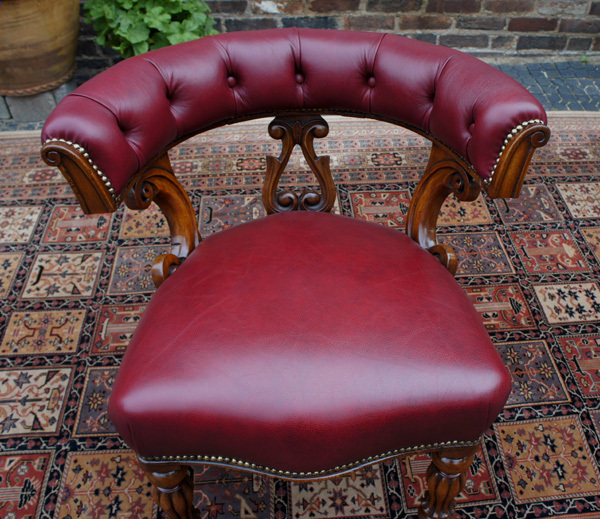 This is a very comfortable and capacious antique chair with deep padded sprung seat with a serpentine seat rail. 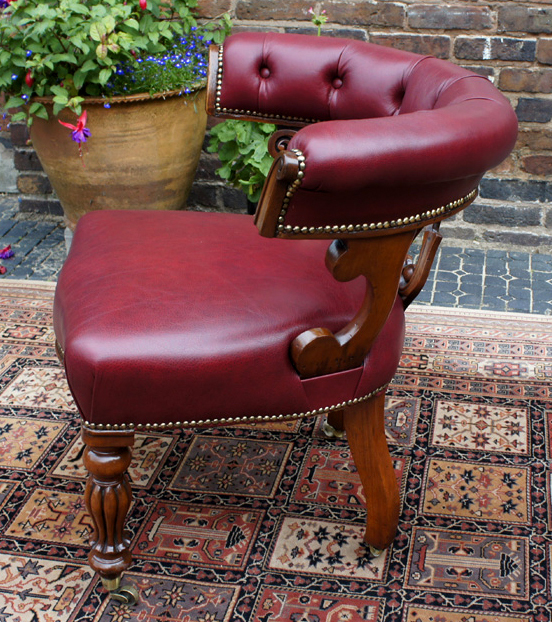 This good quality walnut antique desk chair from the mid 19th century, recently upholstered in a deep red coloured hide with studded borders. A very comfortable and capacious antique chair with deep padded sprung seat with a serpentine seat rail. It has a horseshoe shaped padded and buttoned back, supported by a scroll carved central splat and a pair of cornucopia side supports. The chair stands on baluster reeded front legs and curved legs legs to the rear all with brass castors.